The time: 1861. The place: Virginia. 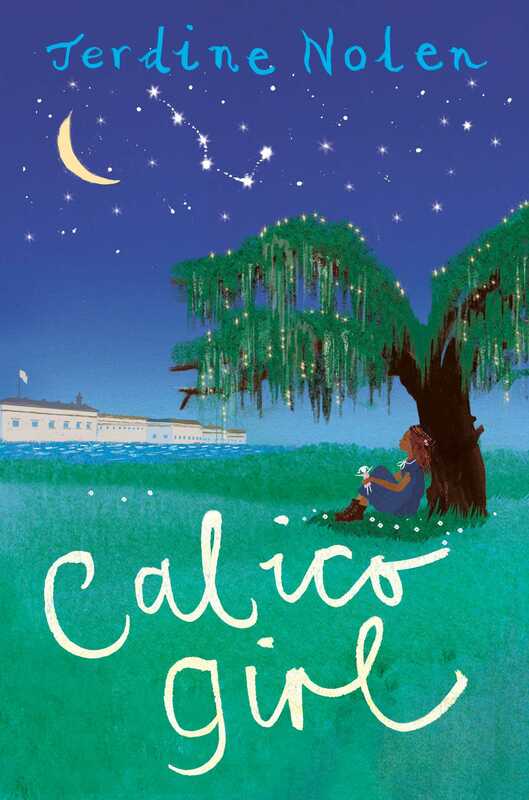 Based on true accounts of the Civil War, Calico Girl tells the story of twelve-year-old Callie Wilcomb, her father, her stepmother, and her baby brother; the family are slaves at Belle Hill Farm. After three runaway slaves are offered refuge at the Union outpost Fort Monroe, Callie and her family decide to leave the farm and join other slaves seeking freedom. There, Callie’s life begins anew; she starts school and meets an inspirational teacher who shows her that she has a say over her life and freedom. The courage, strength, and humanity that Callie and her family display will inspire readers to delve more deeply into this important aspect of American history. 1. 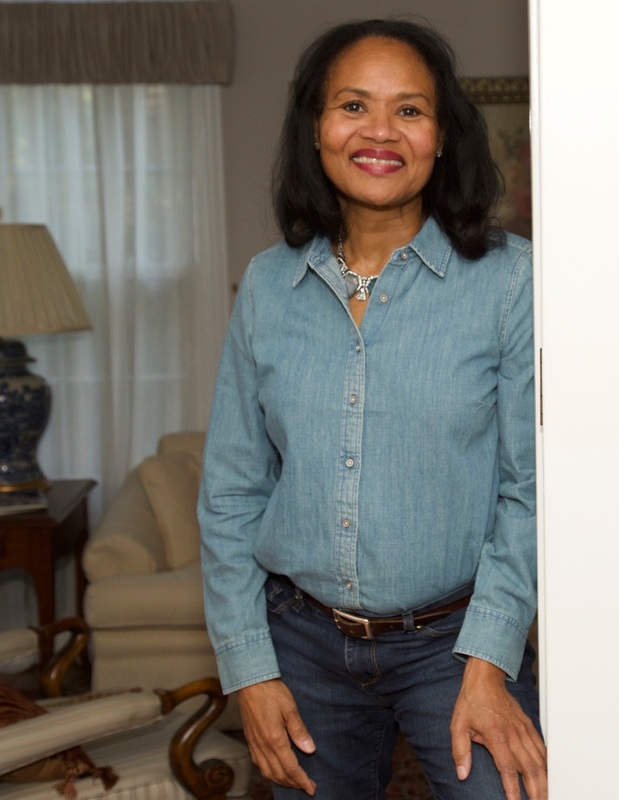 Reread the Author’s Note, where Jerdine Nolen explains why she wanted to write a story that addressed issues surrounding slavery. She writes, “What draws me in is wondering and imagining how one particular event impacted an individual or family. I have wondered about this for a long time: What did it feel like to finally be free?” Discuss how Nolen uses details to help the reader better understand what it was like to be a slave and what freedom finally felt like for Callie and her family. 2. Callie must endure Suse’s delight in watching the slave sale that will separate Callie from her brother, Joseph. Using specific examples from the text, explain how the author reveals Suse’s control over the girls’ relationship. Suse tells Callie, “I could be closer to you, Callie—a lot closer to you. But there is a line Daddy says I must never cross.” What does Suse mean by “a line”? What does the line symbolize? 3. Although Suse’s father, slave owner Henry Warren, exits the story after chapter three, readers learn a great deal about the business of slavery through Henry’s eyes, including the South’s need to hold on to their way of life, prejudices, and the notion of honor. Discuss some of the common beliefs held by slave owners. How does Henry reveal his intense prejudice and hatred toward Callie’s father, Hampton? Why does Henry admire Hampton as much as he despises him? 4. Discuss Hampton’s feelings that “. . . he never wanted to deny any part of himself. Though part of him was white, he was still a whole man, a whole person.” While Hampton is technically a free man, he isn’t truly equal to any white man in his world during this time. Describe the ways he is still treated like a slave, despite having his freedom papers. 5. Discuss the meaning of the phrase “Desperate times call for desperate measures.” Why do you think Shepard Mallory, Frank Baker, and James Townsend would rather risk being runaway slaves than fight for the Confederacy? How is their decision to escape to Fort Monroe a desperate measure? 6. When Hampton learns about possible protection at Fort Monroe for runaway slaves, he is at first hopeful. Then his hope is tempered as he begins to doubt Raleigh’s story. Discuss the following line: “Hope is not sweet when doubt lingers.” Given Hampton’s past experiences, why does he find Raleigh’s story difficult to believe? 7. What is empathy? Discuss examples throughout the text in which characters display empathy for others. Readers learn that Ruth Wilcomb “listened, watched, and noticed everything. It made her attuned to the feelings of others.” How does listening, watching, and noticing help build empathy? 8. Nolen uses sewing metaphors and similes to describe Ruth’s state of mind and the grief of losing her son, Joseph. For example: “She sometimes saw her thoughts as tangled pieces of thread in the bottom of her sewing basket.” Discuss the meaning of this line and other sewing-related descriptive language. 9. Catherine Wilcomb Warren, Henry’s wife and Suse’s mother, is a character torn between the world in which she lives and her true beliefs. Discuss how she speaks to Ruth in chapter seven. How does Nolen reveal Catherine’s discomfort with the conversation? How does she reveal Catherine’s humanity and true feelings about slavery? Discuss Catherine’s statement to Ruth about living with slavery: “But I daresay that I do not wholly know how to live in it. It can make you feel that a part of you is all but disappeared or someone else breathes through your lungs, sees through your eyes, speaks your words, and stands in your place entirely.” At the end of their talk, why does Catherine feel relief? 10. What did Hampton risk by pulling the drowning soldier from the river? What does this act reveal about Hampton’s character? How does the way in which the Union soldiers speak to Hampton after the rescue create a turning point in the story? Imagine if this scene had occurred in the Confederacy. How do you think Hampton would have been treated? 11. Chapter ten is a pivotal chapter for Callie and the story as a whole, as she addresses mixed feelings about leaving Belle Hill Farm for Fort Monroe. Using examples from the text, discuss why Callie is both excited and scared, happy but sad. Discuss a time in your own life when you felt opposing emotions at the same time. At the end of this chapter, Callie is no longer ambivalent about leaving Belle Hill Farm, and says, “I want all of us to have a say over our own lives and what we do for the rest of our lives.” How does this statement reveal her growth, courage, and strength? 13. Why does Callie feel transformed when she puts on the calico dress? What does the dress symbolize to her? 14. In chapter fifteen, Callie comes face-to-face with Suse, her former owner and childhood playmate. Reread the chapter, comparing how the two girls interact from the beginning of the chapter to its conclusion. How do their attitudes change? Why was it so important for Callie to confront Suse about her experience in Calper’s Cave? Why does Suse initially deny that she left Callie alone in the cave, and then eventually admit to it? Why do you think Suse eventually shows empathy for Callie? How is the truth a type of power? 17. How does Chloe’s arrival in chapter eighteen illustrate Callie’s growth and empathy? 18. In the book’s final chapter, the green dress Suse callously gave to Callie reappears when Callie offers it to her new friend, Chloe. What did the dress symbolize for Callie when Suse gave it to her, and what does it symbolize when she gives it to Chloe? Why does Callie only now see how beautiful the dress is? Why didn’t she want to notice it before? 19. In the book’s afterword, Nolen quotes the actual Mrs. Peake: “We want to get wisdom. That is all we need. Let us get that, and we are made for time and eternity.” What is wisdom? Do you agree that wisdom is all we need? In the South, Cotton is King. There is Cash Money to be made! Each slave is sold for $2000. Discuss the meaning of the phrase “Cotton is king” and the nature of the agricultural south. Give students time to research and identify primary source documents, such as advertisements, that were typical tools in keeping the business of slavery alive. 2. Calico Girl is mainly organized into chapters with titles that reveal the point of view of the book’s characters. In this activity, called “What’s in your Head,” students will choose a character to analyze. On the board, make a line drawing of a head. Have students re-create it on a piece of paper, and label it as one of the story’s characters. Inside the head, students will write the character’s internal thoughts and feelings. On the outside, they will write examples of the external forces that shape the character. Encourage students to use specific examples from the text. 3. Ruth is a seamstress and the person who gives Callie the nickname Calico Girl. Callie equates the fabric to teaching, education, and also to freedom; to her, it is the opposite of the slave cloth she is forced to wear at Belle Hill Farm. Bring in a wide selection of calico samples. Lead a lesson in stitchery and quilt making. Show examples of a variety of traditional American quilts that were popular at the time, including those created by slaves. Allow students to choose a selection of fabrics to make a small nine-square quilt. 4. Callie asks Mrs. Peake, “What does it mean to live and be free?” Challenge students to write a 3-5 paragraph essay answering Callie’s question as it pertains to their own lives. 5. Lieutenant Matthew Jessup pens a letter home to his family in Vermont explaining “when I set out as a soldier I did not factor in the human element.” In a short period of time, Jessup realizes the barbaric nature of slavery. Have students write a one-page letter to Jerdine Nolen, sharing what they’ve learned about slavery by reading Calico Girl.